Whether you raise chickens for the table or for eggs, proper digestion is essential for your birds. Chickens breakdown their food in their gizzard. The gizzard contains grit to help grind the food for digestion. Free-range chickens naturally pick up grit during foraging. Chickens in a coop sometimes need a little help. 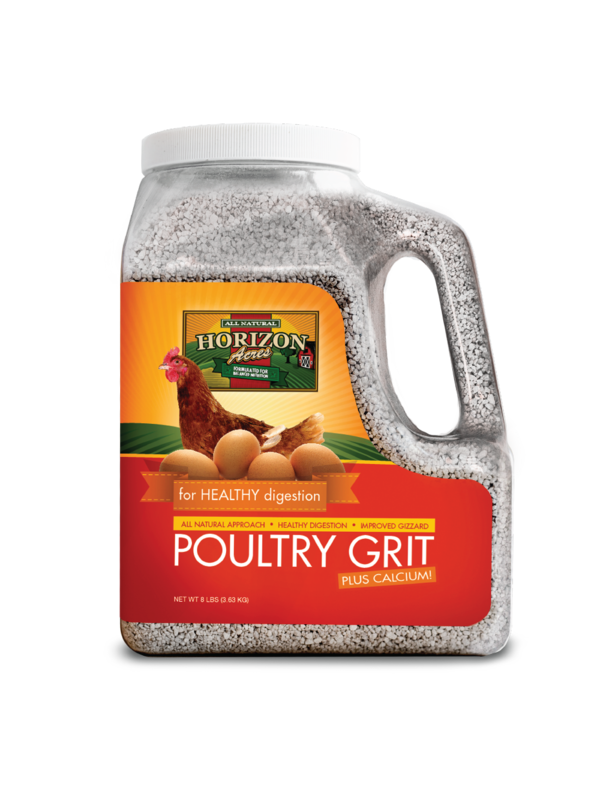 Horizon Acres offers a convenient 8lb jug of Poultry Grit designed to be fed free choice as a digestive aid.